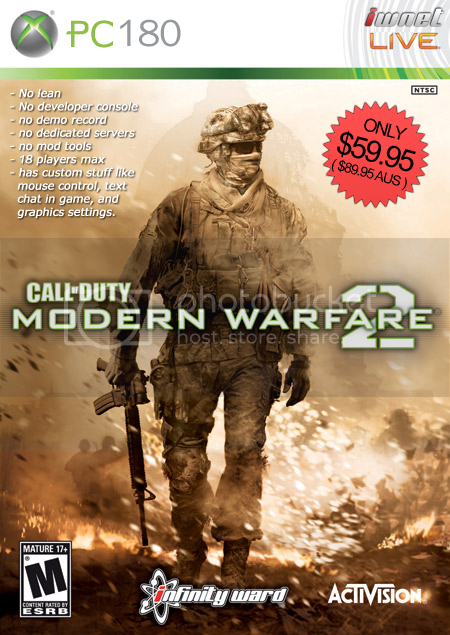 Talk about anything related to the Call Of Duty franchise here..
"Has custom stuff like mouse control"
Borrowed this game from my good friend Jack and all i can say is.. Single player is bloody amazing! Great story build and graphics are just fantastic! So if you can borrow this game from your friend, i highly recommend it! I wont even bother with the Multi player part, so i will not buy it myself. Xytras wrote: Borrowed this game from my good friend Jack and all i can say is..
Athleast i can try it before deciding to buy?? and maybe your friend will lend you his eye patch..
Xytras is happy with a game (well part of it). This makes me happy also. installing as we speak... rage quitting in 5 minutes when steam breaks my PC.